The low-residency MFA is a creative writing program for apprentice writers who not only want to pursue excellence in the craft of writing but also want to place their work within the larger context of the Judeo-Christian tradition of faith. 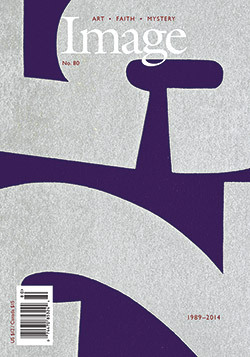 Image unveiled its new cover design in 2013. Recent featured artists include Anselm Kiefer, Kim Alexander, and Fritz Liedtke (pictured). 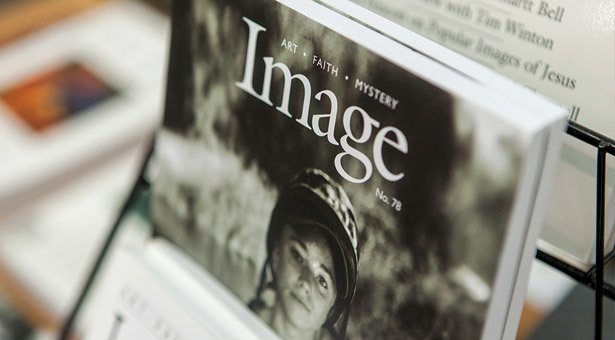 “People who read Image really need Image to exist,” says program director Tyler McCabe ’11. She became one of the first of many SPU English majors who have worked as Image interns, and Wolfe hired her as Image’s program director from 2005 to 2009. In the journal’s early days, Wolfe says he contended with two kinds of bias. Many in the art world viewed religious art as naïve, characterized by platitudes and wishful thinking. Others saw it as hostile and exclusive, dividing the world into “us” versus “them.” He meant for the journal to highlight beautiful, reconciling artwork crafted at the intersection of faith and art. They found — and published — work by world-renowned artists and writers such as John Updike, Madeleine L'Engle, Oscar Hijuelos, John Irving, Mary Oliver, and Makoto Fujimura. Others, including Annie Dillard, Kathleen Norris, Wim Wenders, Barry Moser, Richard Rodriguez, and Denise Levertov, have served on Image’s editorial advisory board. Offering poetry, prose, and visual art shaped by Judeo- Christian faith traditions, the publication has survived more than the usual storms common to print journals in a world of digital media, short attention spans, and “culture wars.” And its influence now reaches into communities of writers, editors, and artists throughout academia. Recognizing a strong spiritual and academic kinship, Seattle Pacific invited Wolfe and his wife Suzanne, a novelist, to join the English Department, and provided “an open space” for Image on campus in 2000. That partnership is flourishing. “Image really puts the SPU English Department on the national map,” says department chair Mark Walhout. As Image’s program director, Mullins managed the Glen Workshops: weeklong, annual events in New Mexico and Massachusetts that give artists — beginners and professionals alike — opportunities to grow under the guidance of masters in poetry, fiction, songwriting, drawing, and many other art forms. The Glen, like the rest of Image’s event traditions, expands the community of artists and art lovers exploring the intersection of art and faith. Writers are also learning in SPU’s low-residency MFA in creative writing program, cultivated by the Image team since 2005. It’s the only such program where faith is an explicit focus of the curriculum. “There are certain people I send SPU’s way, because of the spirit of the MFA program,” says Stanley Rudin, director of Pacific Lutheran University’s MFA program. Other Image/SPU collaborations include the Milton Fellowship, which gives an up-andcoming writer an opportunity to teach creative writing and present original work at SPU; the Fan Mayhall Gates Literary Reading Series on campus; and the Denise Levertov Award, presented annually to an influential artist engaging the Judeo- Christian tradition. On November 8, 2014, beauty resounded within Seattle’s St. James Cathedral. Four choirs and ensembles performed ancient and modern choral works (including three commissioned world premieres), combined with poetry readings, manifesting Image’s vision in celebration of its 25th anniversary. That vision is also fulfilled on the last night of any Glen Workshop. At the close of the final worship service, artists and art lovers alike come forward in lines to receive a prayer of blessing for their life and work before they leave that intense immersion in fellowship and encouragement to carry inspiration into their daily routines.